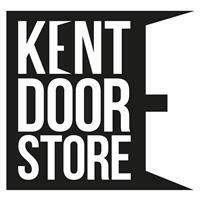 Kent Door Store - based in Maidstone, Kent. Kent Door Store is a small family run business based in the county town of Kent. We are an internet based company offering GRP composite doors in Maidstone and the surrounding towns. Please see our list of areas covered below. As a family run business we pride ourselves on customer satisfaction and oversee all aspects of the sale, from initial enquiry through to the installation. We are very proud of our website which offers an online door designer, providing step by step pricing along the way. For us transparency is a key aspect of the customer journey enabling you to make an informed decision from the outset. We hope you enjoy designing your dream door through our site.